At this time last year, the North Marion baseball team was riding high on the elation of winning the single-A legion baseball state championship in front of a home crowd at Bob Brack stadium. As it stands this year, the Huskies were eliminated in the first round of the triple A legion tournament two weeks ago and were figuring out what to do with the rest of their summer as the remaining teams vied for the state title last week. For the North Marion coaching staff, they wouldn't have it any other way. "For us to brave it out and go ahead and play AAA, it was the right thing for us to do, and then we were super competitive doing it," head coach Randy Brack said. The Huskies were eliminated from the state playoffs on July 24 by the Post 20 Dirtbags, who claimed a pair of lopsided victories — 17-3 and 12-2 — to win the three-game series. It was the end of the season in an otherwise successful summer for the North Marion legion team, which made the jump from single A to triple A this year in an attempt to give the team much more experience playing against difficult opponents. The difference in competition was stark. Most legion teams draw players from a region that includes upwards of six high schools. But with most of the top-tier players going to triple A teams, it leaves a much smaller pool of talent to draw from at the single A level. "It's a numbers game," Brack said. "Maybe they have a (great) pitcher, but then the depth wasn't there. If you made that pitcher work and they had to take him out, then the guy they brought in was maybe four steps down." As a result, last year's Huskies were able to feast on a number of single A teams in league play. Outside of league, Brack tried to schedule as many games as possible to give his legion team the challenge it needed to stay competitive. Last year's team was young, featuring mostly freshmen, sophomores and juniors. Very little senior talent. Brack knew his team could be competitive against triple A teams, but didn't want to overwhelm them against superior opponents every single night. "I think that was really important," Brack said. "We needed to play some competition, but at the same time we needed to play at a level where we needed to be and give us a chance to win." When the Huskies came out of league play last year, the team was sharpened and ready to cut through the competition at the state tournament. The experience of making it through the legion state playoff tournament and building that confidence had a direct correlation to North Marion's run to the high school state semifinals this past spring. "Winning the state championship – that was perfect for us," Brack said. "We played good teams and we won those games and competed in the other ones, and it was really good for us going into the high school season. We needed that." Heading into this year's legion season, Brack wanted to up the ante. Bringing back nearly everyone from last year's single A legion state championship team, he didn't feel his team would earn anything by rolling through another summer with little competition from league play. He wanted to add another weight to the end of the bat, so the Huskies moved up. "At the triple A level, if you get to a pitcher and they take him out, they'll put in a guy who is the equivalent, or sometimes better than the guy who was starting," Brack said. "You couldn't let up, because if you did, you'd give up four or five runs real quick." The same was true on the other side of the ball. Every batting lineup the Huskies faced featured an elite-level hitter in all nine spots. But the team thrived. 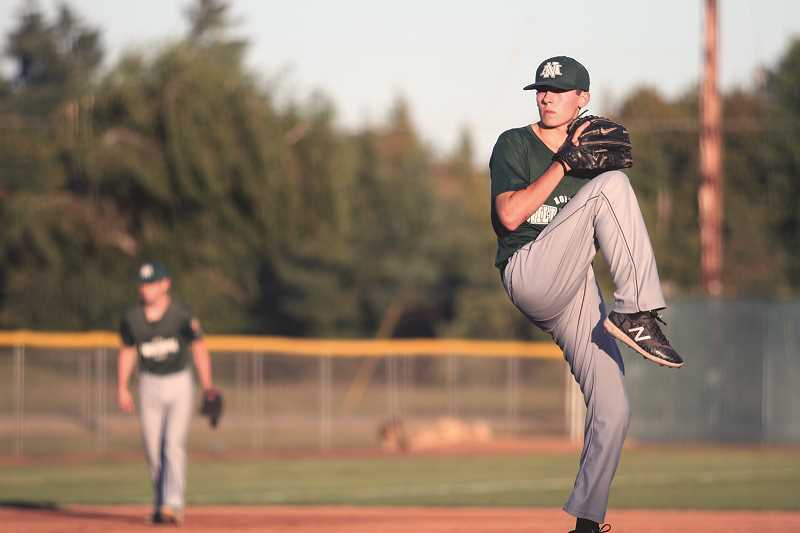 North Marion went 14-11 during the season and 9-5 in league play, finishing third in their division behind the Hillsboro Barbers (28-10, 13-1) and Beaverton Post 124 (27-5, 11-3). North Marion is a rare exception that fields a roster entirely from one program, pulling players from the high school's baseball program, including incoming freshmen coming up from the middle school. 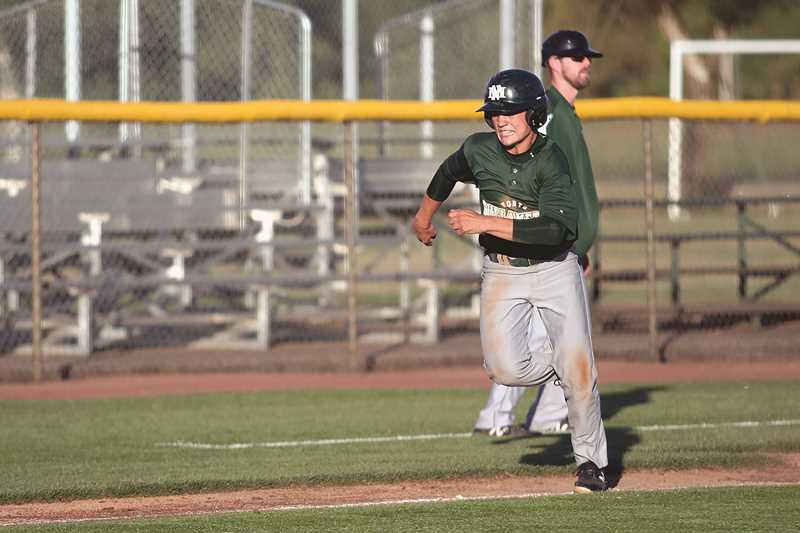 And except for a three-game stretch from graduated senior Andy Schmitz, the Huskies fielded a team composed entirely of players who will be playing high school baseball next spring. Not so for the competition, which routinely brings in players who have just graduated or college freshmen who have yet to turn 19 before the age cutoff. While most of those teams are looking further ahead to the Legion World Series, Brack is focused on using the summer season as a whet stone to sharpen his team for the coming high school season. "That's the way I've always done it," Brack said. "To me, we do that, and we're going to make it better for next spring. That's what's more important. Not that we don't want to win in the summer, (but) the ultimate goal to me is the high school state championship."